The Chicago Council on Global Affairs envisions a world where we are all informed about the world around us, where new ideas make a difference, and where the US is actively engaged in global affairs. CAN WE HELP SOLVE THE WORLD'S MOST CRUCIAL PROBLEMS? That largely depends on YOU. The Chicago Council on Global Affairs is an independent, nonpartisan membership organization. Support from members and donors, people like you, make it possible for us to convene leading global voices, conduct independent research, and engage the public to explore ideas that will shape our global future. Named one of the top Think Tanks to Watch worldwide in 2015, 2016, and 2017, the Council on Global Affairs is committed to bringing clarity and offering solutions to issues that transcend borders. Please enter your information below to subscribe to Global Insight. Yes, I would like to subscribe to Global Insight. As a member you’ll learn about what is happening in the world and why it matters, and you’ll meet other people, like you, who value active US engagement in the world. Your tax-deductible membership contribution to the Council is an investment in our efforts to bring together leading global voices, conduct independent research, and engage the public in discussions on critical global issues. Membership support shows you care about the big ideas that shape our world. 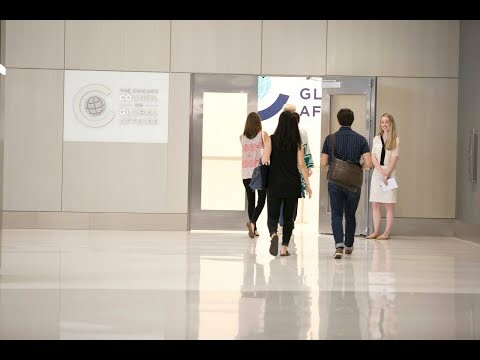 Ranked the #1 Think Tank to Watch worldwide, the Council on Global Affairs is committed to bringing clarity and offering solutions to issues that transcend borders. Please enter your information below to subscribe to Global Insight.